The following is a list of the stores that have been located at Miracle Mile at one time or another. The list does not include the approximately 31 offices on the upper floors. Only verified dates are noted; these businesses may have been located at Miracle Mile as early as 1951 and/or after the date noted. Also see Miracle Mile History, especially for panoramic photos. Miracle Mile also owns the two buildings to the east: 4995 and 5001 Excelsior Blvd. Abram Tailor Shop: 5405. Moved down Excelsior Blvd. in 2006 to make room for Hoigaard’s. ACES Flight Simulators: 5003. February 1996 to October 2004. Angela’s Women’s Wear (Angela’s Intimate Apparel and Corsets): 5115. 1951-62. 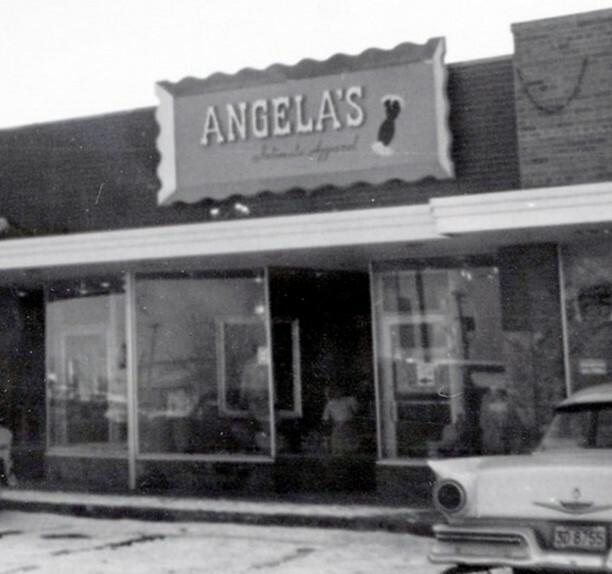 Run by Angela and Walter Hokanson and Angeline Danielson, the store started out with intimate apparel, but branched out. The store had a Victorian décor with an antique chandelier. The store caught fire on October 21, 1961, and they held a Smoke Sale in November. They were still advertising into 1962. Athlete’s Foot: 5015. 1972- Grand Opening July 27-29, 1972, featuring two members of the Northstars. Back to School Learning Center: 5313. This was an accredited vocational school run by Linda Ackerman and Kim Emmans. The business ran from October 1994 to March 1998. Benson Optical: 5005. June 1987 to August 1995. 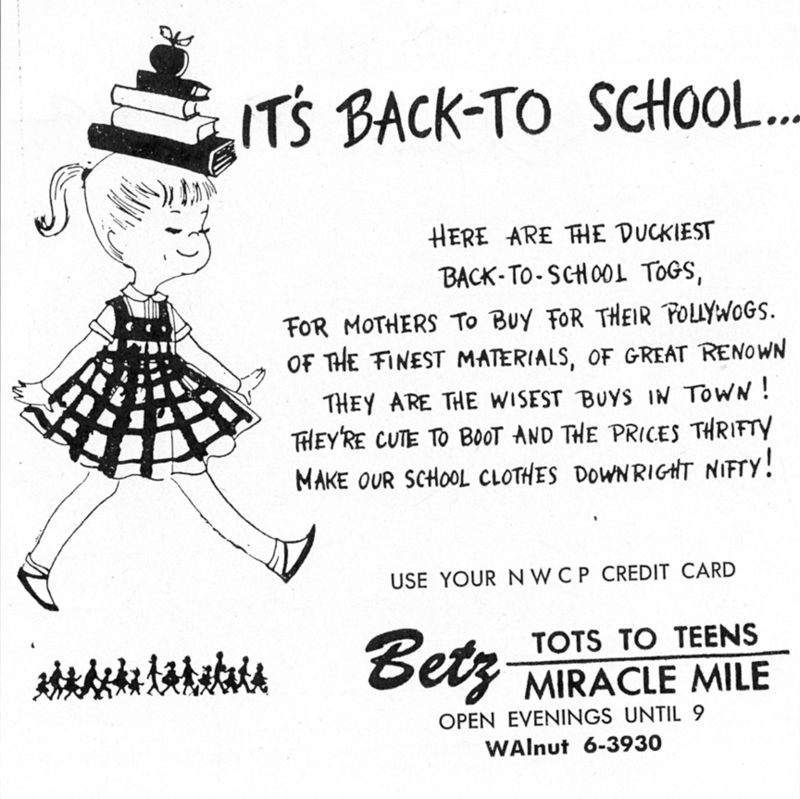 Betz Tots to Teens: 5111. 1951-60. This store, which opened in mid-September 1951, was run by Maurine and Maurice Betz. Mrs. Betz was with the Isle Hat Co. for ten years; during the war she was in “investigation and personnel work with the Dupont plant at Rosemont, and following that was private secretary to the director of purchases of Brown and Bigelow.” Mr. Betz had worked as a buyer for the Donaldson Co. and a buyer and merchandiser for Sears-Roebuck before serving in the Army during the war. The children’s store featured Golden Book wallpaper. In December 1957 there was another store at the Tonka Terrace Shopping Center. The store went out of business in May 1960. Bill Schorn’s Flowers and Gifts: 5007. 1957-62. The 1962 listing called it a flower and pet shop. Body Dimensions: 5407. November 1982. Owned by Eleanor Winn, this shop offered Swedish, oriental, reflexology, and reiki massage, in addition to tanning, manicures, pedicures, and exercise. In 1983, Winn successfully lobbied the City Council to make an exception to its ban on massage parlors. Braun’s Women’s Apparel: 5313 from October 1956 to 1968. 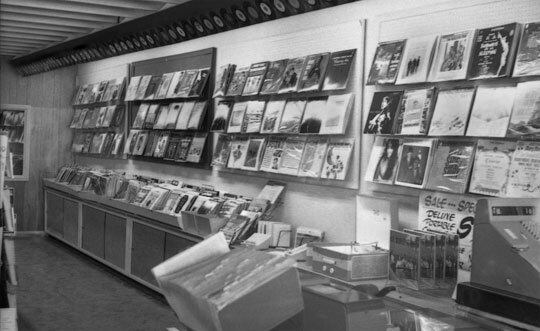 The store moved to the 5225/5301 spot in 1968, and left in 1978 after a falling out with Miracle Mile management. Bullseye Golf: 1978-89. This store was first at 5313 and later in 5225. Café Babette: 5401. November 2000 to November 2002. Café Sorella: 5401. November 1993 – November 1997. Run by identical twins Pat and Pam Wagner, the word Sorella means sisters in Italian. The women grew up close by on Wooddale Ave. and went to Most Holy Trinity School, graduating from Park High in 1973. Chicago Hat Bar: 5405. 1951-52. 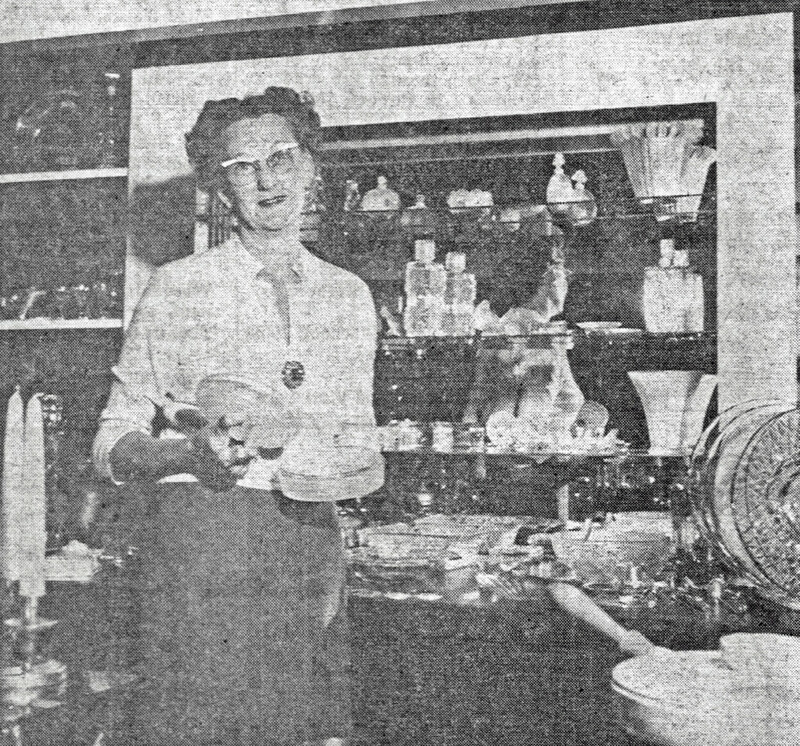 Opening in November 1951, manager Betty Garvoille apparently didn’t make a go of it; the space quickly became Ostlund Jewelers. China Jade Restaurant: 5011. In 1984, brothers Kyan Nung Hwee and Kyan Sen Hwee (Peter and Steve) bought the Mee Sum Restaurant and changed the name to China Jade. China Jade closed on August 31, 2005. Colonial Inn Bakery/Pantry: 5005. 1953-60. Opened December 2, 1953. This was an offshoot of the Colonial Inn Restaurant. They were best known for their cinnamon twists, crescent dinner rolls, hamburger rolls, and “Angel Pies.” They also sold deli items such as potato(e) salad. Command Performance: 5305. 1979-1981. This was the 285th Command Performance hair salon in the country, but the first in the Minneapolis area. It opened in November 1979. The company was started by Richard Wall, who attended the Grand Opening in St. Louis Park. Wall had also founded Bonanza Steak Houses. Cook’s Family Apparel: 5017. 1953-56. Grand opening November 27-30, 1953. The store was located in the second phase, just east of Red Owl. It featured six department on two floors. At the grand opening, gifts included flowers for the ladies and ball point pens for the men and children. 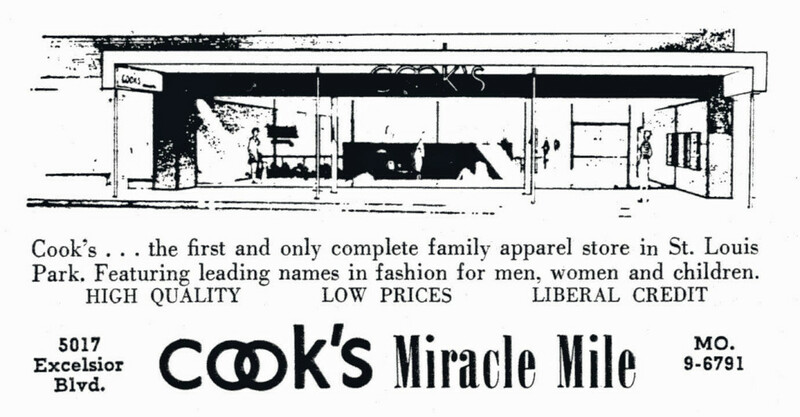 The 13,000 sf store was the fourth Cook’s to open in the Twin Cities, by Theodore L. Cook (Junior and Senior) of St. Paul. The store was bought by Fantle’s in 1956, and for awhile the store was known as Fantle Bros. Cook’s. Craft Village/Creative Expressions: 5201. 1980-2003. This store changed from Craft Village to Creative Expressions (with Creative Crafts and Creative Leisure in there) in 1988. The store started in the basement and eventually took over the upstairs. Crumley’s Coffee Cake: 5401. December 1997 to October 2000. Dell Fabrics: 5101. January 1954 to January 2007. The store was started by Herschel Goodman and his wife, store namesake Delphina. The original fixtures were cast iron. The store was designed by Frederick Wolf in the colonial style. Goodman had been a buyer for Donaldson’s, Boutell’s, and Minneapolis House Furnishing. The store was later owned by son Myron Goodman, and managed by daughter Janna Rubin. 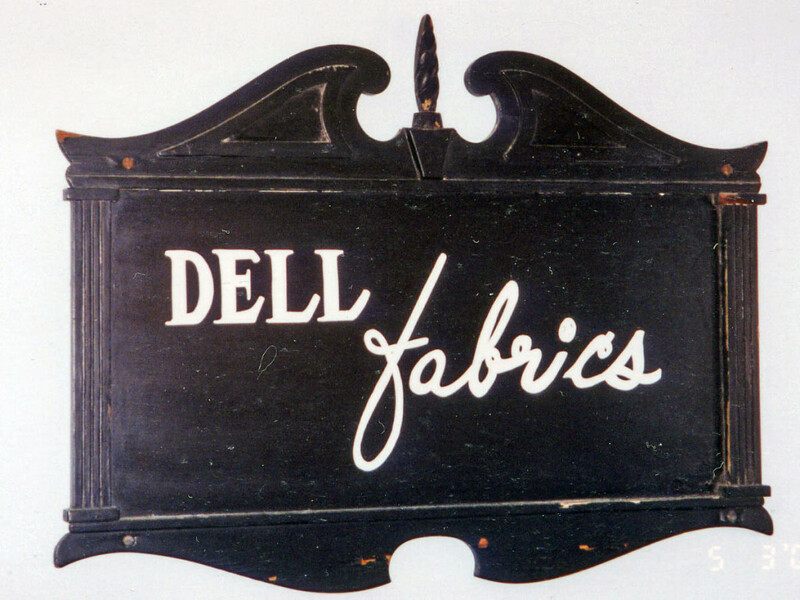 There were 5-7 other Dell Fabric Stores around town. Design Line: 5305. Hair salon owned by Joe and Meg Traeger. The salon opened in April 1997 operated there until August 2009. Diamonds and Gold, Int’l. : Owner David Dumas moved the store to Miracle Mile from Robbinsdale in April 2010. Dolbec’s Meats: 5003. 1953 to 1970. This store was located at the eastern end of the shopping center, owned by Earl and Beverly Dolbec. 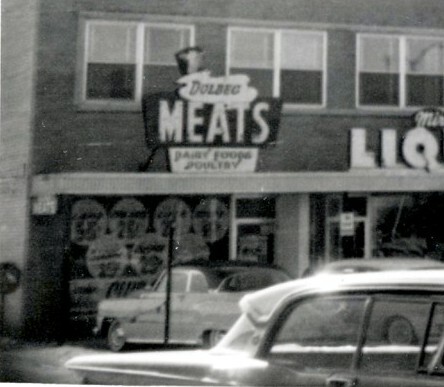 Mrs. Dolbec reports that they sold three kinds of beef, and were particularly popular with Cubans, including the Minnesota Twins Cuban baseball players. They made their own sausage and sold cheeses and fresh fish as well. In the early days they had sawdust on the floor to soak up the blood until the city passed an ordinance against it. In an era where self-service was now the norm, they insisted “Self service is not our motto – we serve you.” In 1970 their equipment was starting to wear out so they moved to the PDQ store at 4611 Excelsior Blvd., where they operated for 13 years. Dollar Market Plus: 5313. March to December, 2000. Don Leary “Drive In” Appliances: 5105/5101? 1954-58. Don Leary bought his first juke box from Homer Capehart in 1935, sales manager of the Wurlitzer Co., and graduated into the retail record business. In 1948 he had a record and radio store on Nicollet Island and WDGY would have remote broadcasts with major stars. Apparently he was also a musician; a note in the St. Louis Park Echo says that after the Edina-St. Louis Park Football game on September 21, 1951, students from both schools were invited to a Jam Session in the Edina gym with Don Leary’s Band. In 1953 Leary had stores on the Island and on Hennepin Ave. and was advertising TV antennas in the local version of TV Guide. In 1956 Variety rated Leary one of the top 20 record dealers in the country. The “drive in” refers to a passageway tot he rear parking lot. Leary sold his Miracle Mile location in 1958 (see below) but in July 1971 he opened a new store in the St. Anthony Shopping Center. 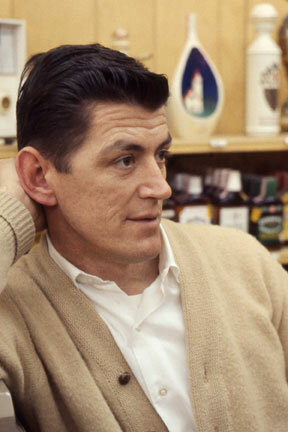 He closed the record store in 1989 and died in 2000 at the age of 92. 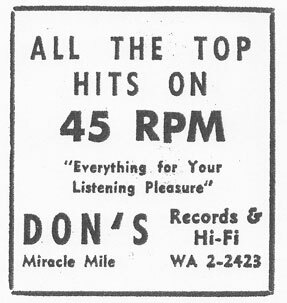 Don’s Records and Hi-Fi: 5105/5101? 1958-61. E.F. Sandberg bought Don Leary’s store for his son Don to operate. The purchase reflected a desire to settle down after 40 years of travel for the tea and coffee business on the part of the elder Sandberg. The Grand Opening, held on April 24-26, 1958, featured 12,000 records and offered orchids to the ladies and candy for the kids. (Men apparently never got anything at these Grand Openings.) Appearances were made by Disk Jockeys Roy Carr (WTCN), Jim Boysen (WLOL), and Stanley Mack (WDGY). Beverly Reinicke, who had worked for Don Leary for the last 3 years, was announced as an employee of the new store. She named Johnny Mathis and Patti Page as the most popular vocalists – she was not asked about the most popular rock ‘n’ roll act. The store operated until at least 1962. Droolin’ Moose: September 2013 – This gourmet chocolate shop was started by sisters Missy Wettstrom and Amy Bustos. 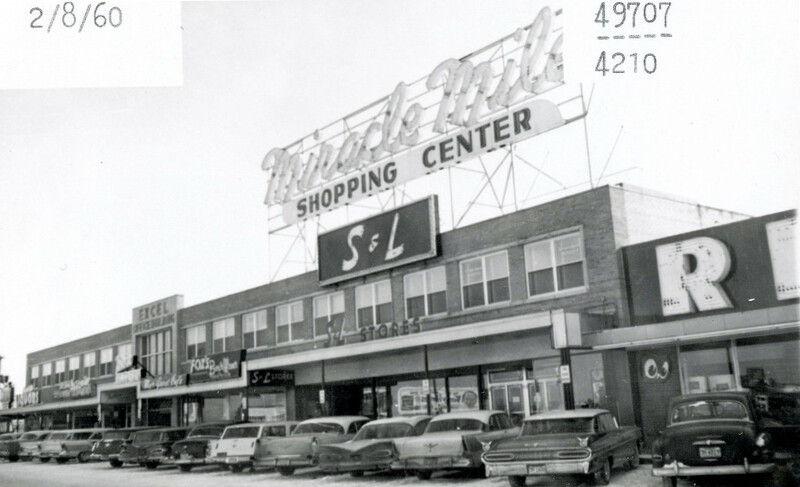 The Miracle Mile store was the third for the owners; others were in Bloomington and Burnsville. Examples of their wares are cashew moons, sunny gummies, malted milk boulders, and java jo-jos. Elegant X, “Fashions for Elegant Women”: 5115. September 1980 to September 1989. This store catered to large sizes. Another store was located in Wayzata. Excel/100 Salon: 5305. January 1982 to September 1988. Owned by Joe and Meg Traeger. Fantastic Sam’s: June 2010 – . Owner Gini Rowland also owns the Fantastic Sam’s salon on Cedar Lake Road. Fashion Beauty Salon: 1954 to 1960. 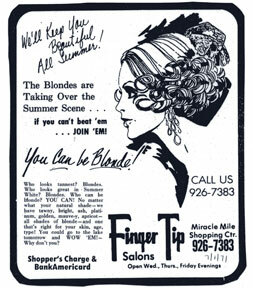 In 1959 there were other salons Downtown, Southdale, Robbinsdale, and at the HUB at 66th and Nicollet. Fashion Gal: 5225. 1981-1985. This store was owned by Greg Schloff, who had been a buyer for Powers. In 1981 it was in 5301. Filament Lighting: 5007. February 2002. Owner Todd Pearsall founded the store in the Uptown area of Minneapolis in 1998. 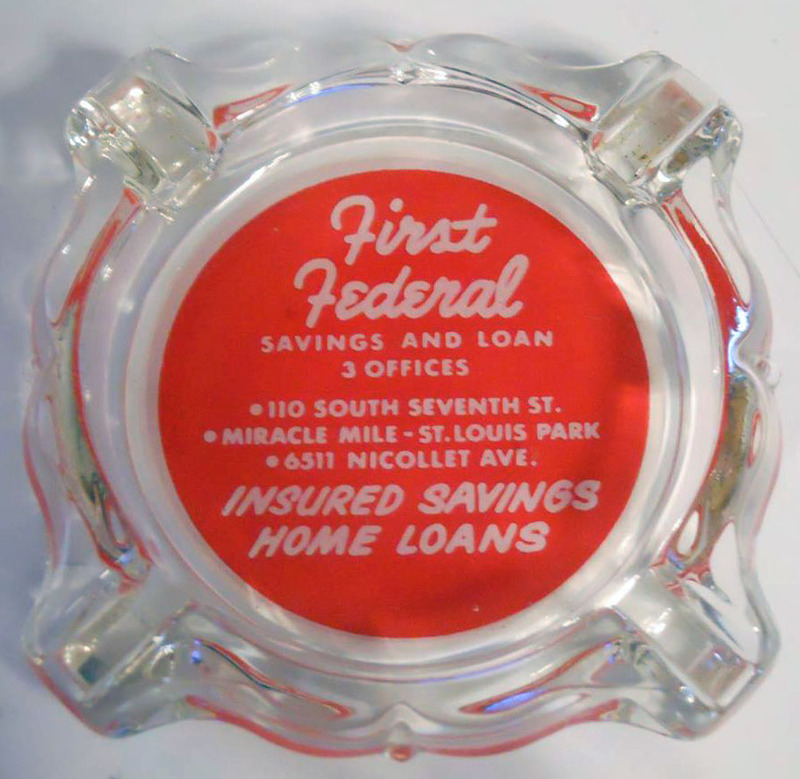 First Federal Savings and Loan Association: 5313. 1951-56. This was a temporary address until Federal building controls were lifted and its new building was erected in 1956. 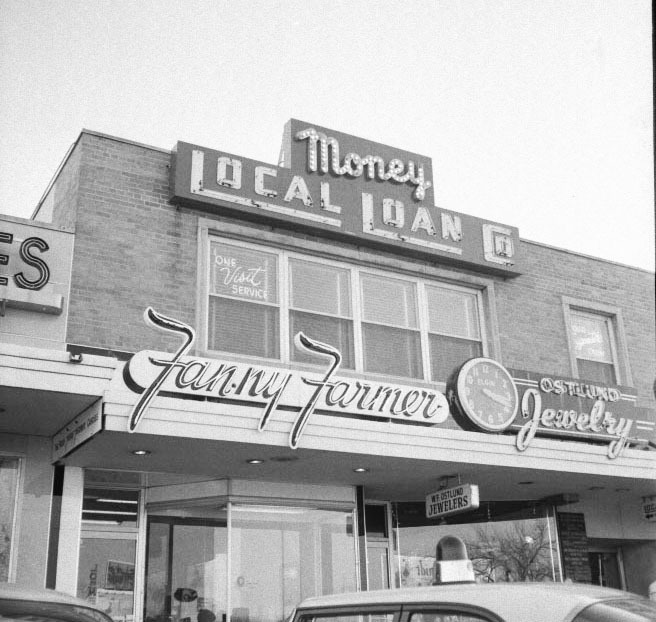 Several Minneapolis savings and loan associations and banks objected to First Federal, Park’s first source of mortgage financing, establishing itself in the suburbs. First Federal opened on Friday, July 13, 1951. President of First Federal, which had at that time been in business for 25 years, was Walter Youngquist, and the local manager was Arthur W. Olafson. The 1951 Echowan advertised the First Federal downtown at 110 So. 7th Street. Fox’s Mens and Boys Wear: 5011-5013. 1953 to 1978. (In 1964 it was called Fox’s Apparel.) 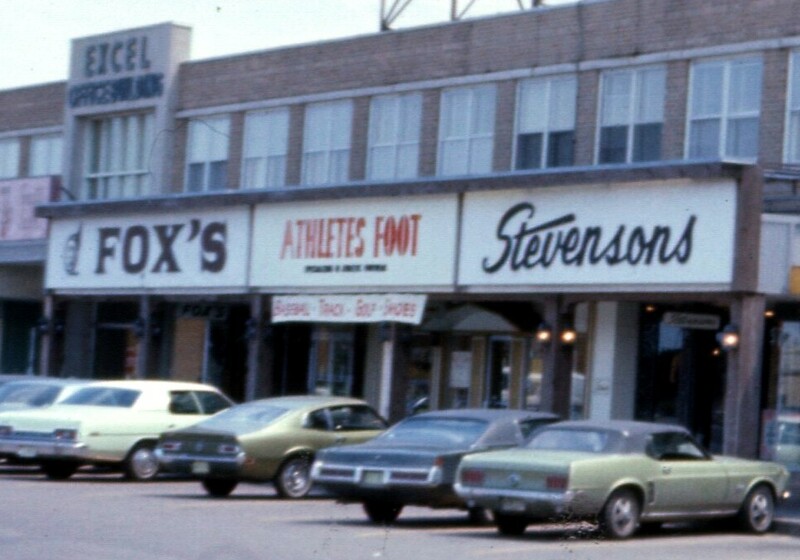 This store, owned by Reuben Fox, opened on September 17, 1953. Earl C. McNellis was the local manager. When McNellis retired in 1978 it was reported that he had been in business for 28 years. In 1966 they advertised that they had a new and expanded store. Frattallone’s Hardware: 5025. Opened July 2012. Larry Frattallone founded the business in 1975 after working at the Sears store at HarMar Mall in Roseville. When that store closed, Larry opened his own store in Arden Hills. In 1979 he began buying from Ace, a buying cooperative. Larry’s sons Mike and Tom are part owners. Frattallone’s has many stores around the Twin Cities. (Moen) Friendship Shop: 5105 and 5111. 1967 to 2005. Jane Crawford, owner. Started in 5105, expanded to 5111 in 1972 at the exit of Haugland’s for the Young. Grand Opening of their newly remodeled store was October 28-30, 1971. Another remodel was celebrated on November 11-12, 1977. Gabberts: 5101/5015 1951-53. Opening in November 1951, this store was one of the many appliance stores opening on the Boulevard amid the huge demand for television sets and other new appliances. 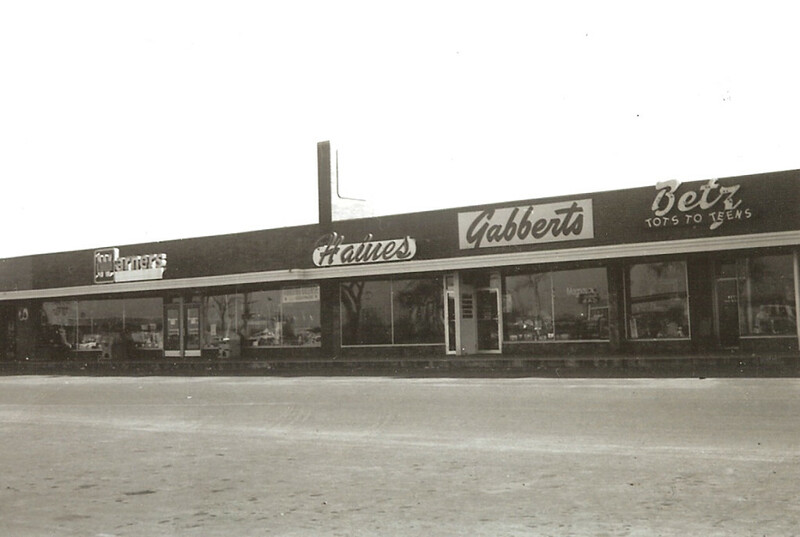 It was the third in a chain owned by Don Gabbert, who lived nearby on Vallacher Avenue. The store manager in 1951 was Don Combs. See photo below under Haines Specialty Store. Golf Club Factory: 5225. This store was first known as Bullseye Golf from 1984 to July 1990. From August 1990 to July 1991 it was the Marty Irving Golf Center. From August 1991 to July 1993 it was called the Golf Club Factory. At one point it was owned by Gerald Brennon. Half Price Books: 5013. November 1986 to April 1998. Moved to 5015/5017 in May 1998. This is a chain that started in 1972 in a converted Laundromat in Dallas. Haugland’s for the Young: 5111. 1960-71. Grand Opening August 13-14, 1960 – took over when Betz went out of business. 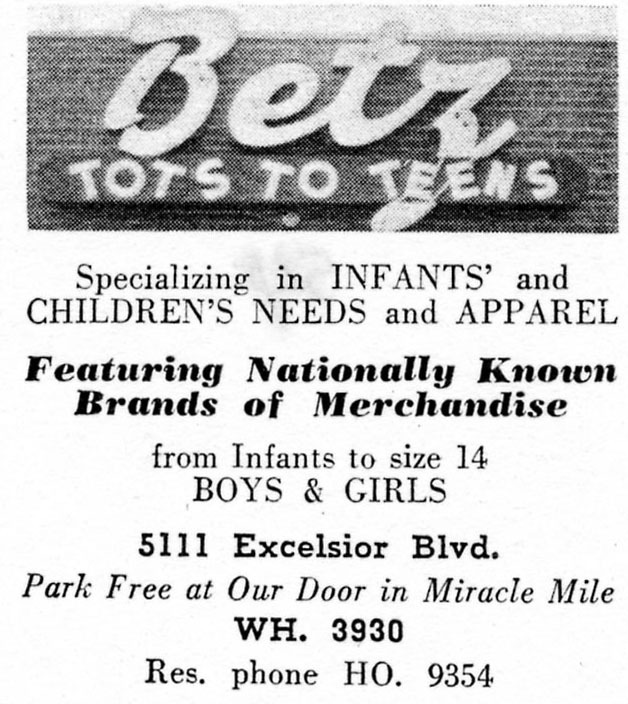 In November 1966 it moved to a new location in Miracle Mile, advertising the opening of the “Twin Cities’ Must Unusual Children’s Shop!” The Girls’ Gazebo was in the basement. 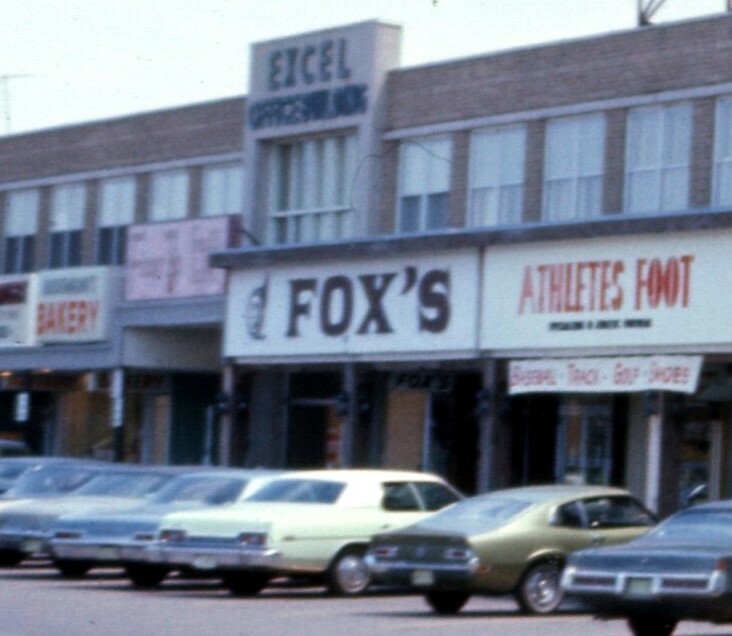 In 1970 there were six other stores in the Twin Cities area. Hennepin Lake Printers and Stationers: 5007 from 1964-66; (new location) 1966-1990; 5313 from October 1990 to May 1993. Herald’s West Inspirational Dining was the brainchild of Harold Vogel. He started out in 1977 in the old Friar’s Club building downtown, but it was too big. In 1979 he began operating out of Becky’s Chalet Buffet, which closed at 8, on Thursday, Friday, and Saturday evenings. It was a Christian club, and one paid a $3 entertainment fee to hear the likes of the Gerber Twins. Patrons could choose from the David and Goliath (jumbo shrimp and sirloin), Samson’s Choice or Delilah’s Delight (both sirloin steaks), The Disciple (torsk), or just have the regular Swiss Buffet. Hoigaard’s: 5313-5425. This venerated St. Louis Park business moved from their own building on Highway 100 to Miracle Mile in 2006. The signature incinerator tower had to be demolished, but a new tower was built at the west end of the mall to simulate that landmark. Home State Art Gallery: 5401. October 1988 to April 1989. An ad from 1988 said that the shop sold art representing the work of more than 50 Minnesota artists. Works included paintings, prints, small sculptures, pottery, and jewelry. Hong Kong Star: Summer 2006. Short-lived successor to China Jade. Hungarian Consulate: Second Floor, April 2014. See story in Sun-Sailor. It’s About Games: 5301. May 1998 to October 1999. Buy, sell and rent new and used video games. Iverson’s Imports: 5101. October 15, 2007 – . Tom and Paula Iverson started this Scandinavian import business in Bayfield, Wisconsin, in 1972. After 13 years at Southdale and 17 years at Ridgedale they moved the business to the Mile. Jerry’s True Value/Do It Best Hardware, owned by Jerry Connolly, January 2001. Successor to Warner Hardware. Moved to Westwood Shopping Center in 2012. Juvenile Shoe Store: 5009 (now 5007-1/2). 1953-62. This store, run by Richard Charles, opened on August 14, 1953. 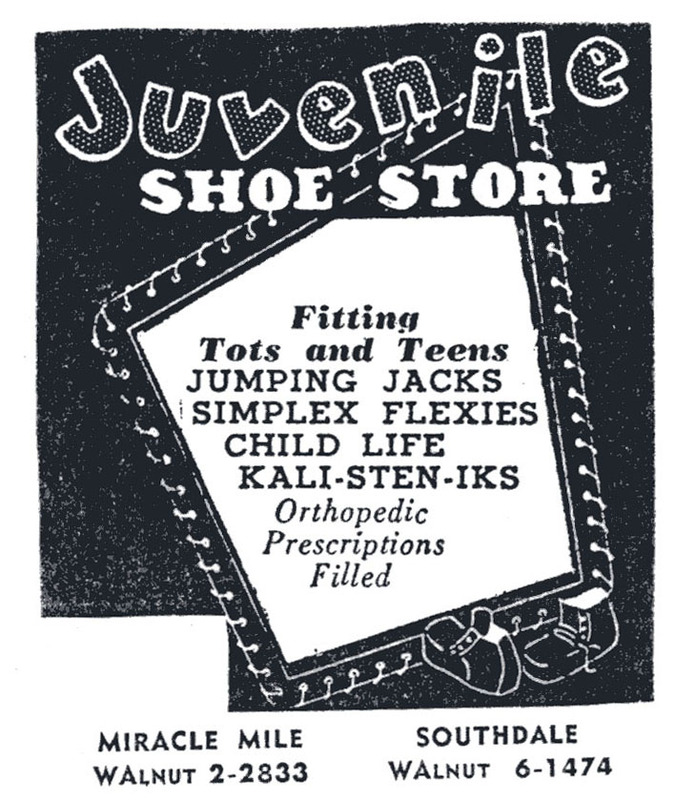 Juvenile Shoes was founded in 1931 by Frank Charles, who had another store downtown (807 La Salle). The store stocked a huge range of sizes; there were 69 different sizes in just one model of high white baby shoes, according to a 1956 article. Keefe’s Men’s (and Students) Wear: 5301. 1951-67. This store (with W.T. Grant) was the second to open after Warner Hardware in June 1951. 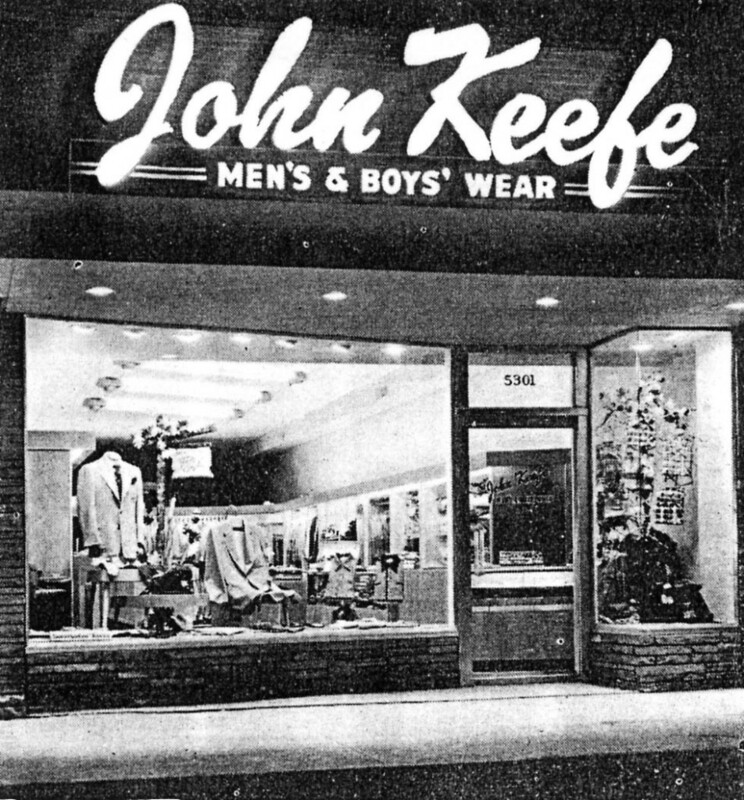 It was originally called John Keefe, Inc. Mr. Keefe, a graduate of the U of M, was described as having 20 years in the clothing business, the most recent at the New York office of the Dayton Company. He had also been associated with the Varsity Shop and Maurice L. Rothschild. The store was 20 ft. wide and 100 ft. deep, the last 40 ft. being storeroom space. The interior was decorated by Weidt Associates in white and pastels. 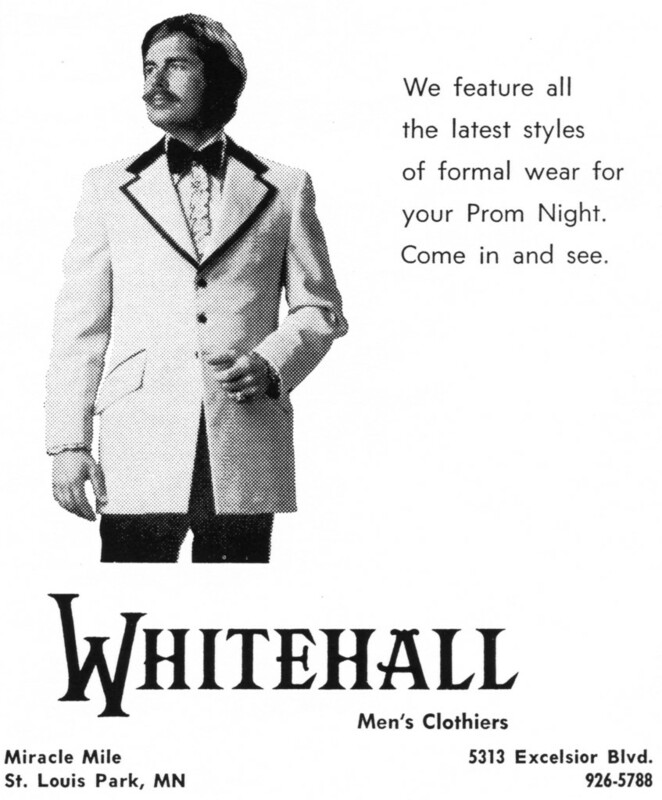 In 1958 you could rent a tux for prom. Keller Brothers Inc.: 5225. 1952-62. Photo Supplies and Sporting Goods. Kindy Optical: 5305. April 1976- Dr. Richard Kindy had been at 3655 Joppa since the ‘50s. Kinney Shoes: 5321. 1951-61. 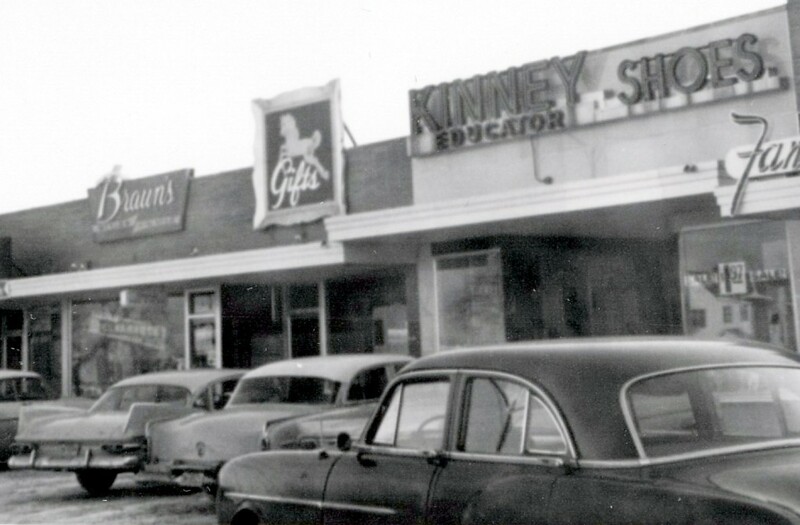 Kinney Shoes opened on August 23, 1951. In a September 1951 issue of the SLP High School Echo, it advertised “Joe Lapchick” Basketball Shoes with white uppers for $5.95. 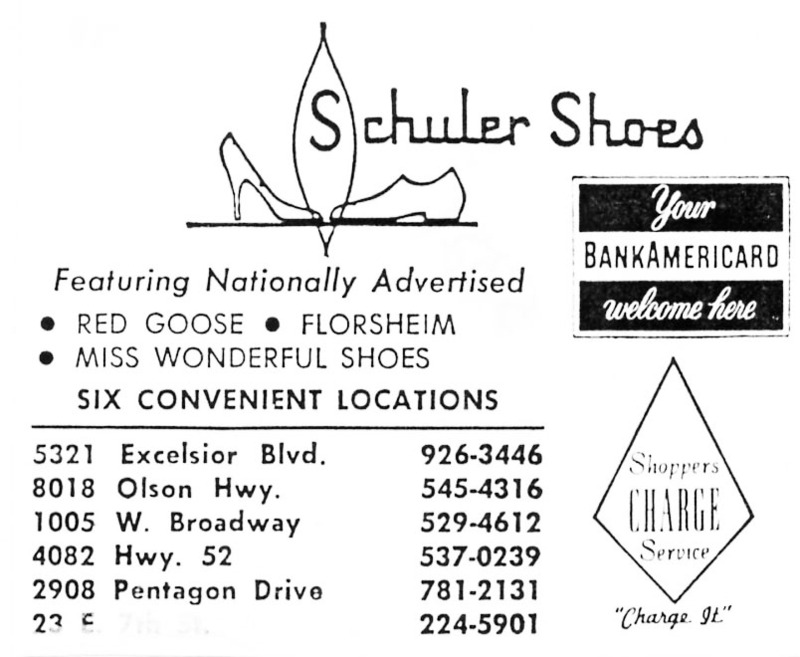 It moved to Knollwood in 1960 and was replaced by Schuler Shoes. Leather Specialists: 5217. 1981-85. [or just 1982]. The proprietor also had a shop downtown that catered to bikers. Liquor Barrel: 5111. Opened August 1, 2005, by Dave Anderly and his nephew, Scott Rademacher. In November 2010 they sold the business to Kent Cich and his son Jeremiah. 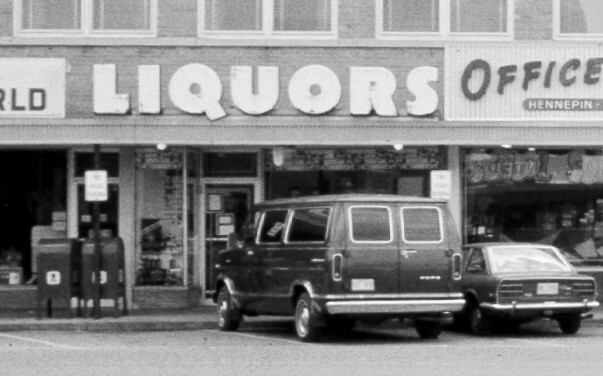 Liquor Barrel was an independent operation with several stores that banded together for marketing and purchasing purposes. In December 2015 the store became Top 10 Liquors. Local Loan Co. was in one of the offices on the second floor. This photo was taken after it was held up in January 1961. Mail Boxes Etc: 5115. July 1990-2003. Karl and Karen Bickler owned this and another franchise in Minnetonka. Services included copying, mailboxes, faxing, shipping, and other business needs. Changed to UPS Store (see below) in 2003, with the same owners. Mar-Gene’s Restaurant: 5011. 1959-61. In September 1959, Mr. and Mrs. Eugene Sivigny purchased Abdallah’s and began to sell less candy and more dining. They did still serve Abdallah’s ice cream and candy. In 1962 the owner was Mrs. Ruth K. Fein, who disappeared. Turned out she was wanted in Florida for swindling an elderly couple out of $9,000 – something to do with the McGarvey-Atwoood Coffee Company and a liquor store on Lake Street. Sidney Hollman managed the place as trustee. Walter Crammond, former president of the Minneapolis Central Labor Union, also had an interest. Hollman was cited by police for operating without a licence and having unsanitary equipment. He closed, and the original owner, Eugene Sivigny, applied for a license. The store closed in 1961. 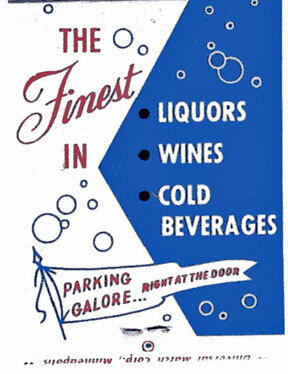 The matchbook below is undated and raises questions about the three establishments are related. Mee Sum Restaurant: 5009. 1980-85. In the Excel Building. Started by Joe and Helen Chan. See China Jade. 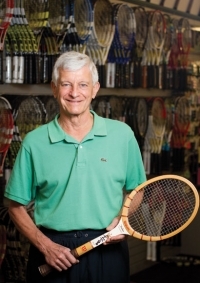 Michael Lynne’s Tennis Shop: 5011. September 1990-November 2000. Moved to 5013 in December 2000. Expanded to 5009 (Hong Kong Star) on October 1, 2007. Owners Michael and Mimzy Lynne operate one of the top five tennis-only stores in the country, succeeding when much of the tennis business has gone to the internet. The store provides equipment and lessons to the St. Paul Urban Tennis Program and helped start a tennis program at the Blaisdell YMCA in Minneapolis. They also support the Special Olympics. Miracle Mile Liquors: 5005. 1958-77. 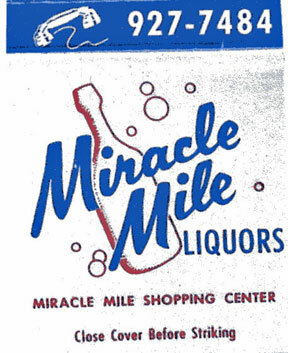 In November 1951, there were nine applications for liquor licenses at the new Miracle Mile, but none was approved until 1958, when the off-sale license from Bunny’s was transferred to Miracle Mile. Members of Aldersgate Church objected to the transfer, but a Grand Opening was held by the Miracle Mile Liquor Store on August 1-2, 1958. The store was run by Harold L. Aretz, the eldest son of Henry Aretz of Bunnys. Harold sold his Bunny’s stock and resigned from the board. Mrs. Scandia’s Bakery: 5009. 1984. Nelson’s Office Supply: 5313. June 1993 to May 1994. Niemeyer’s TV and Records: 5105. 1964 to 1973. Niemeyer’s opened in the space formerly occupied by previous record stores Don Leary’s and Don’s. It was there by at least February of 1964, since Wayne Klayman remembers that half the neighborhood bought the LP “Meet the Beatles” there! 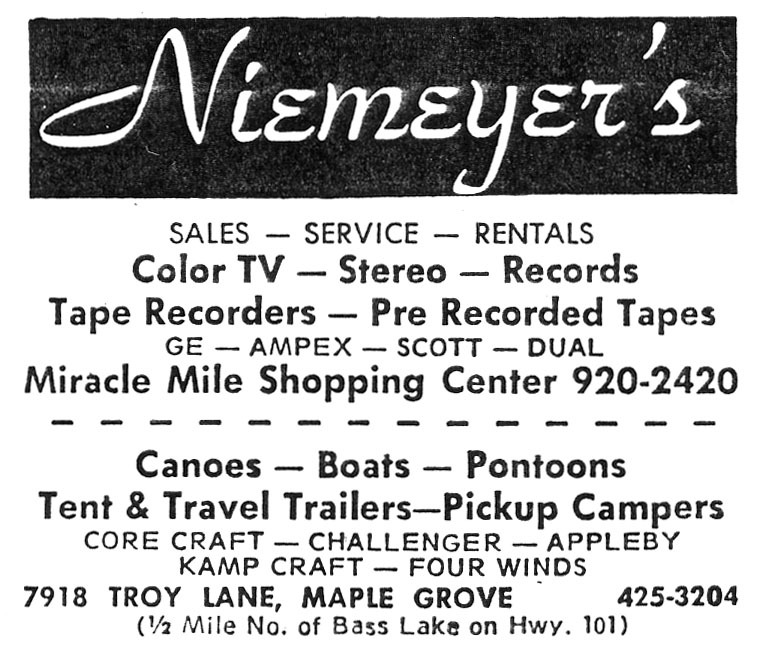 In the 1960s Niemeyer’s also sold prerecorded tapes (4 track and 8 track) and Core Craft Canoes. One time (probably during the 1965 flood) people were navigating the waters of Excelsior Blvd. in Niemeyer’s canoes. Ad below is from 1970. Nutrition World/Nature Food Centre/General Nutrition Center: 5003. 1971-2004. Opened July 1, 1971. On Your Toes School of Dance: 5025. October 1994 to 2003. Owned by Jeff and Cynthia Nehrbass. Offered classes in ballet, modern, jazz, tap, musical theater, funk quickstep, rumba, samba, mammbo, bolero, east and west coast swing, jive, merengue, hustle, hip hop, Viennese waltz, tango, foxtrot, cha cha, and country western. Once Upon a Child: 5021. The store, which sells new and used children’s items, opened on August 3, 1993 and had a grand opening (featuring Barney) on November 13. 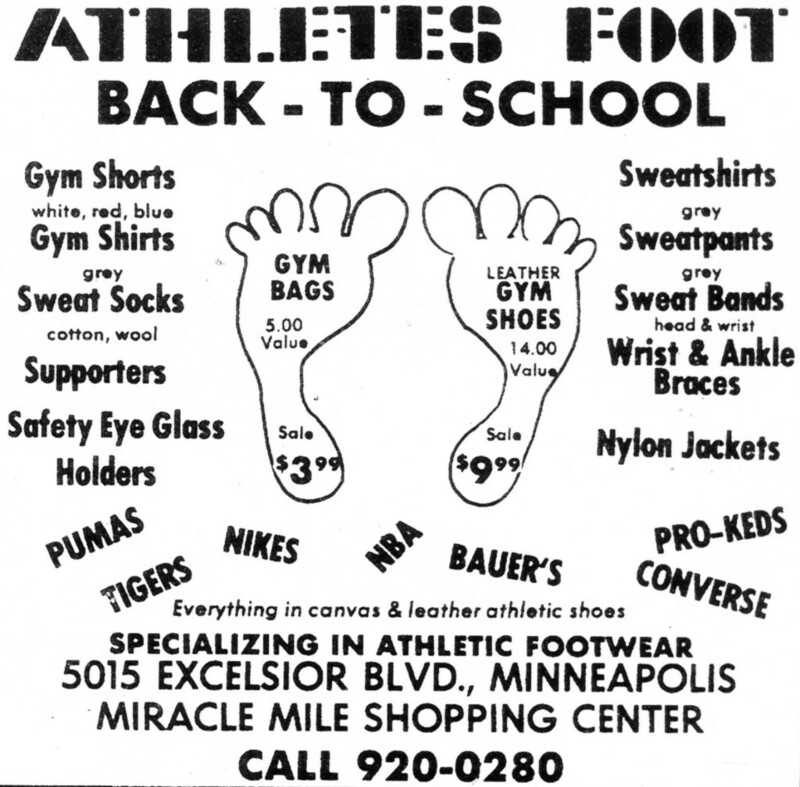 The franchise was owned by Judy Wells, and at the time it was the first store in Minnesota. Optics, Inc.: 5305. 1961. 3,000 frames on display. Ostlund Jewelers: 5405. 1952-1999. 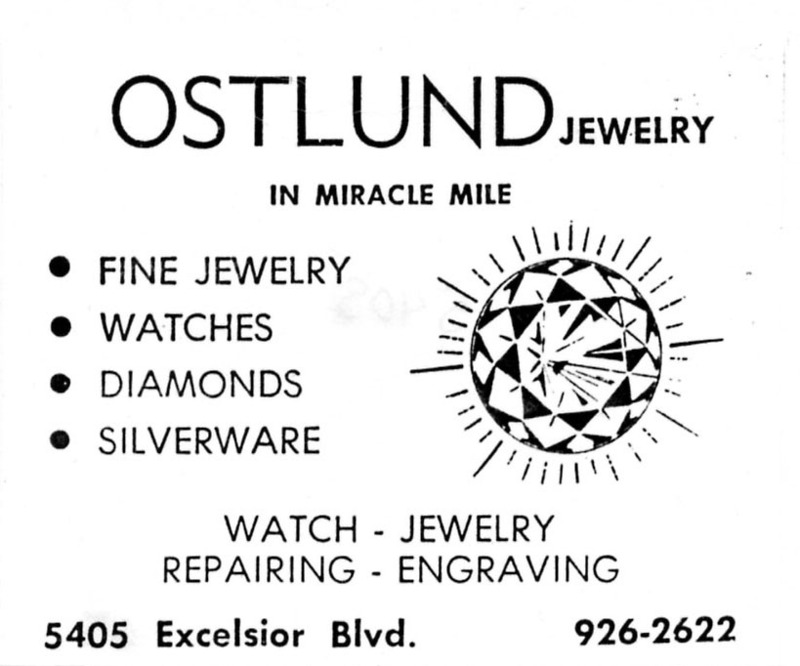 Ostlund Jewelry celebrated their grand opening in May 1952. The store was owned by Warren Ostlund, and Carl B. Borgen was the first manager. Ostlund’s son Bill bought the business from his father in 1988. Parkview Cameras and Gifts/Flowers: 5225. 1964-68. 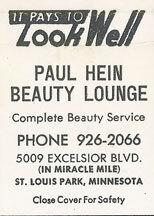 Paul Hein Beauty Lounge: June 5, 1964-70. Paul Hein operated his salon in Lilac Way from 1951 to 1964. Pets Unlimited: 5301. 1993-95/October 1985 to September 1997. Pet supplies, food, and accessories. Picture Warehouse: Opened February 1995, closed November 1995. Pink Pony: 5317. 1951-72. Owners Mabry and Malcolm Noxon were one of the first to apply for a spot at the new Miracle Mile, but at first was told that they didn’t want a gift shop. 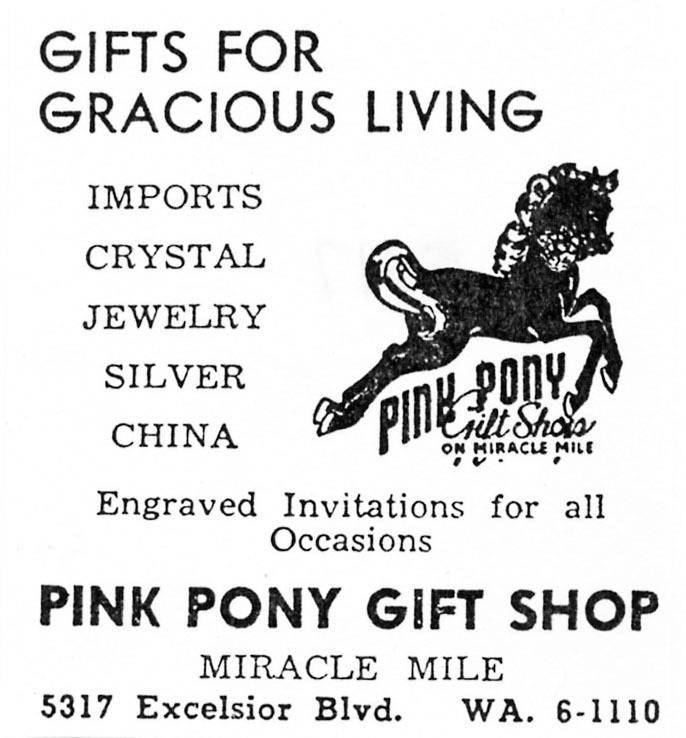 They prevailed, and the store and its signature pink carousel pony in the window opened in August 1951. 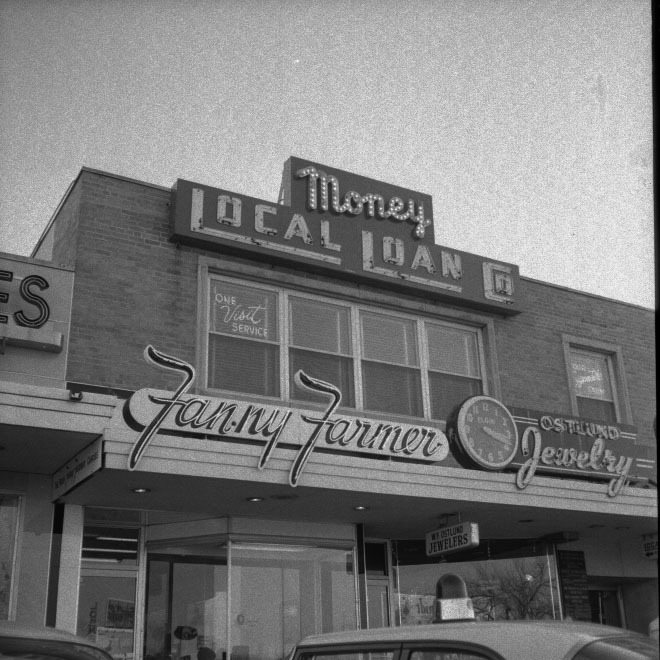 It was an institution until 1981, when the store moved to Edina. 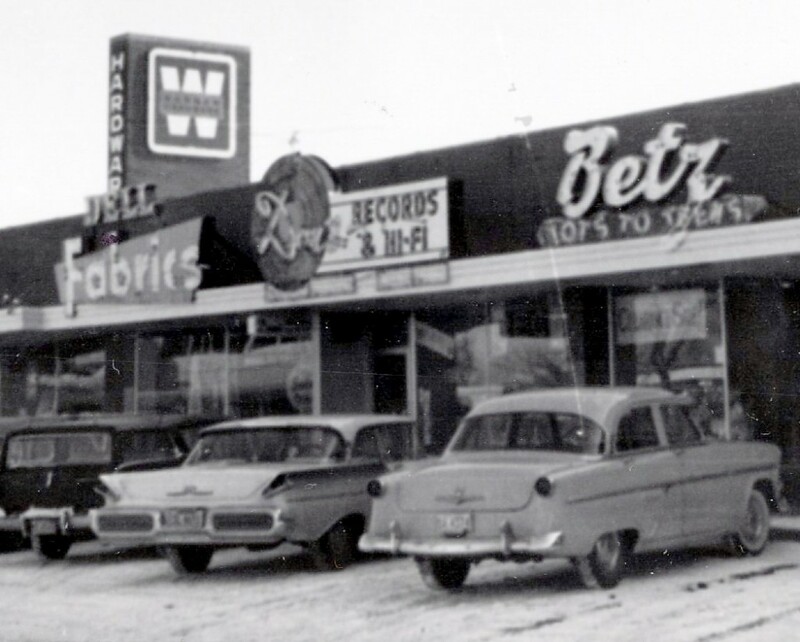 Another store opened in November 1959 in Wayzata’s Colonial Square Shopping Center. The store sold gifts by Sheffield, Bing and Grondahl, Royal Worcester, Royal Doulton, Georg Jensen, Schiaparelli, Nettie Rosenstein, Bergdorf Foodman, Hobe, and Daum Lalique. Plato’s Closet: 5301. Clothes for teens. June 2000 to May 31, 2005. Progressive Beauty: Wholesale distributor of hair products, only open to licensed cosmetologists and barbers. 5015/5017 from November 1991 to June 1998. 5313 from June to August 1998. Downsized and switched with Half Price Books (5015) from September 1998 to November 2000. Quick MedX: 5405. February 2000 to July 31, 2001. Red Owl Stores, Inc. 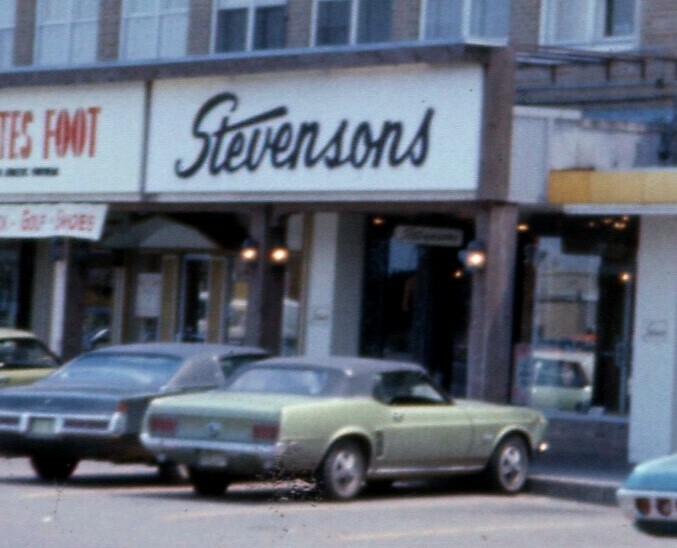 Follow the link to read about the store and its fiery demise in 1973. 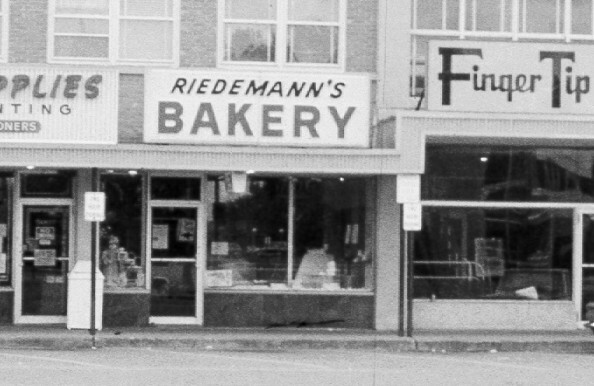 Riedemann’s Bakery: 5009. 1964-77. Earl R. Riedemann ran Lilac Way Bakery across the street before coming to Miracle Mile. 1977 Photo by Emory Anderson. S&L Department Store: 1958-67. 5017 (below MM sign). This department store opened on August 4, 1958, Morris Chauss, manager. It operated until 1962. Other stores (as of 1956) were at 4th and Central Ave. SE in Minneapolis and in Robin Center in Robbinsdale. Schuler Shoes: 5321. March 1, 1960 to present. The grand opening of the Miracle Mile store was held from March 31 to April 4, 1960, and featured a visit from Bozo the Clown. The first manager at the Miracle Mile store was Jack Paynter, who had been the manager of the Kinney Shoe Store until it closed that January. 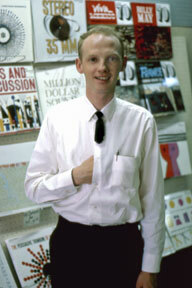 In 1968-70, the store was managed by Chuck Jungroth. Expanded to 5317 in February 1997. Expanded to 5313 in February 2001. In June 2005 the store moved to 5201. 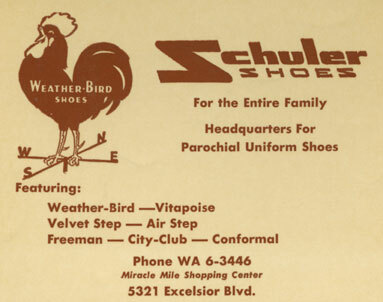 Vincent Schuler came from Austria in 1889 and bought an existing shoe store on Washington and Broadway in North Minneapolis, changing the name to Schuler Shoes. In 1925 his son, Emmet Edward Schuler, bought the company from his father’s niece and nephew. Emmet’s son John took over the company in 1973. In 2006 John began to transition ownership to his children Scott, Jennifer, Michael, and Mare, who are all stockholders and in the business full time. Selden Scarborough: 5015. Selden-Scarborough was located at 1206 Nicollet in 1959-1962. The Miracle Mile store opened in December 1975. It was described as a specialty lamp store, and was run by Helen Scarborough Bailey and her husband Horace “Steve” Bailey. It closed after Helen died in 1990. Shape, Inc.: 5217. This was an “exercise clinic” run by Carolyn Peterson. Snyder (Rexall) Drug: 5425. 1951-2003. This store opened in November 1951. At the time it closed it was the oldest in the chain. Ray Smith was the original store manager, and the President of the Minnesota-owned stores was L.D. Berkus. 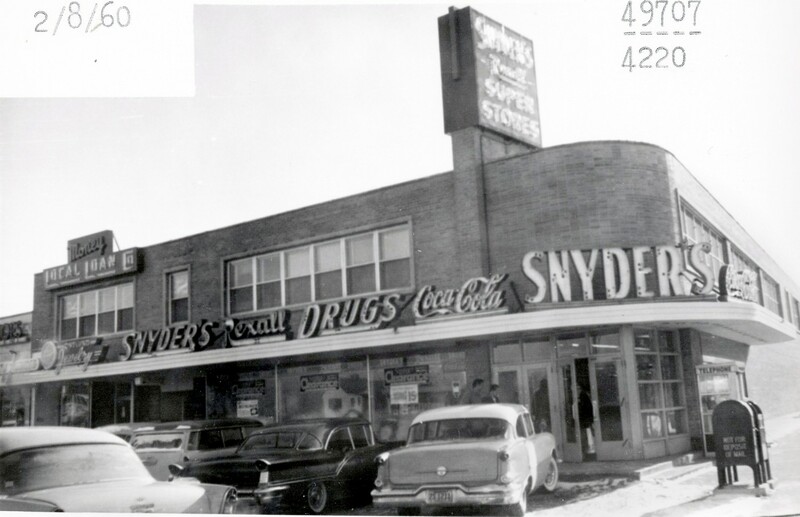 Snyder Drug was started in 1928 when Max P. Snyder ran a cigar and sundry store in Minneapolis. By 1931 the cigars were overtaken by pharmaceuticals. Snyder’s Drug Stores, Inc. was incorporated on June 30, 1939. The Miracle Mile store was one of 12 stores operated by the 1950s. The chain was bought by Red Owl in 1962 and changed hands several times. [This is not to be confused with Snyder Brothers Drug, which was located at 8024 Minnetonka Blvd. (Texa-Tonka) and owned by Shirley M. and Arthur E. Snyder. Apparently Max, Arthur, and perhaps even another brother had a parting of the ways and operated separate stores. Snyder Brothers had stores in Brookdale, Champlin, and Plymouth in addition to its Texa-Tonka store in 1990.] Snyder’s got its one-hour photo finishing equipment in 1995. 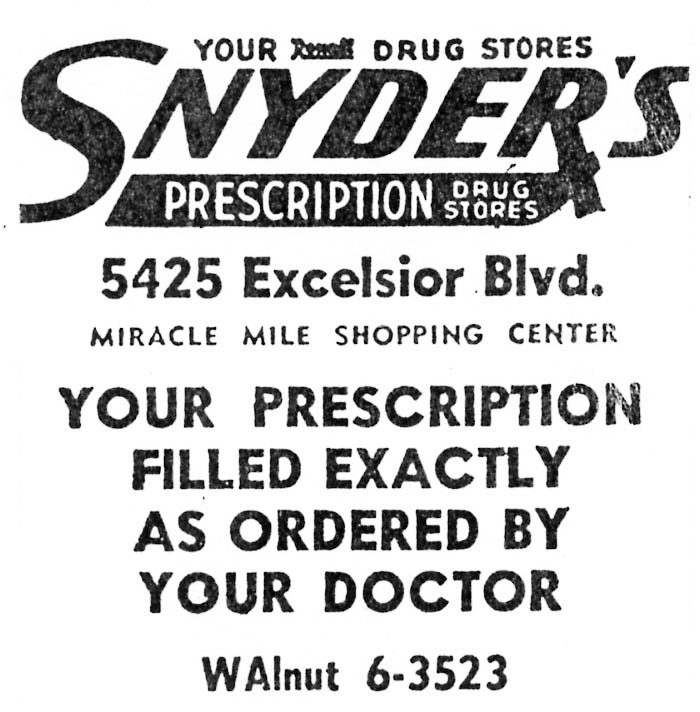 Snyder Drug moved from Miracle Mile to Excelsior and Grand in October 2003, but the company filed for bankruptcy and was forced to close several stores, including that one. … a highly personal woman’s fashion specialty store with a raft of highly exciting clothes for the young adult who thinks young! The smartest, fine quality fashions for misses’, juniors, and tiny juniors! Clothes for the little girls, too, including infants, toddlers, 3 to 6x, 7 to 14, and Jr. Hi. Come to browse, or some to buy … we’ll love having you! Sun Mist Tanning Co.: 5405. 2002 to October 2005. The Ultimate Canvas: 5405. September 1, 2001 to 2002. UPS Store: 5115. 2003- See Mail Boxes Etc. Different name, same owner, services. 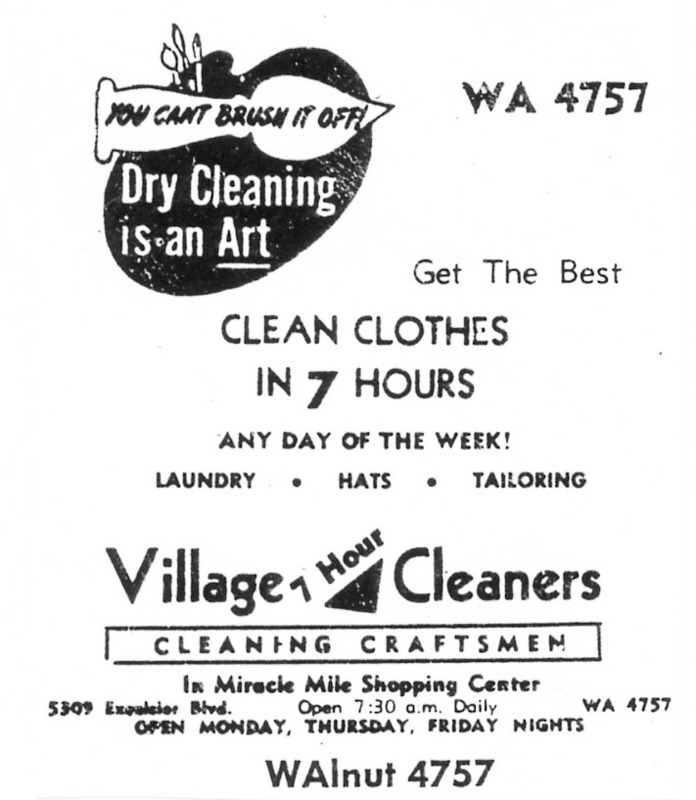 Village Cleaners and Shirt Laundry: 5309. Richard A. Ruprecht opened the store on December 6, 1951, and sold it to Larry Ramsey when he retired in 1970. Ramsey and his family still own the business. Walbom’s Ladies Apparel: 5115. 1963-72. Roy and Irene Walbom had been in Lilac Way 1947-63. In 1970 the manager was Doris Evans. Warner Hardware: 5025. May 1951 – October 1981. Over 11,000 people attended the grand opening of this store on May 8 (5? ), 1951, the first to open in Miracle Mile. Wally Dahl was the manager 1951-1960+. 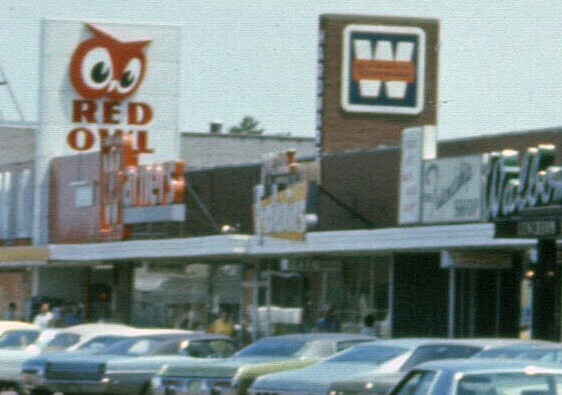 It became the anchor of the Mile after Red Owl burned and expanded into its space in 1975 – Leo Seiwert was the manager. Warner Hardware was started by Leon C. Warner in 1875. Whitehall Mens Clothier: 5313/5315. September 1969-1977. Manager: Wendell Munson. Others whose names were on a 1971 ad were Jerry, Rick, and Todd. Wigs Etc. : 5401. July 1989 to June 1993. Wonderalls: 5217. 1983-84. This store was advertised as a factory outlet store, selling children’s clothing and fabric. 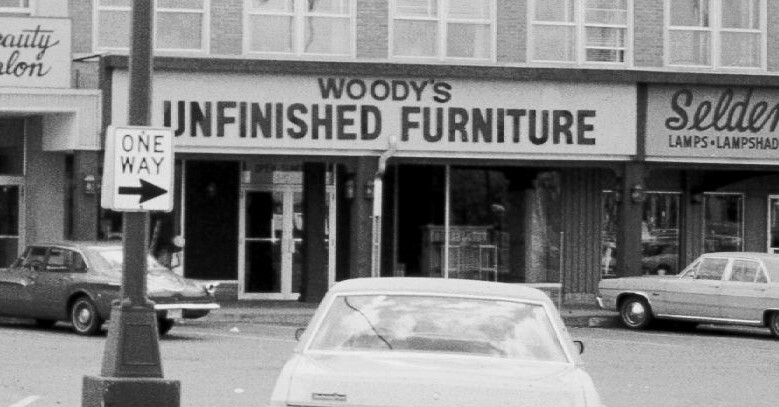 Woody’s Unfinished Furniture: 5217. Roger Smith. This store opened in June 1977 at 5007. They moved to 5217 in May 1984. Rick Kuehn and Steve Maloney bought the store in 1997. With the decline in popularity of unfinished furniture, the store now sells finished and unfinished furniture.